You might enjoy the unexpected but you dont want your bikes electric system to experience the same. Keep your power constant by protecting your voltage regulator with the AltRider Voltage Regulator Guard for the Husqvarna TR650 Terra and Strada. The guard is made with 1/8 inch (3.175 mm) anodized aluminum and we designed it with louevers that direct air toward the heat sink cooling it off so it can perform more efficiently. This piece attaches using OEM mounting points and we made sure to include stainless steel fasteners that mount flush to prevent snagging on your pants or boot. 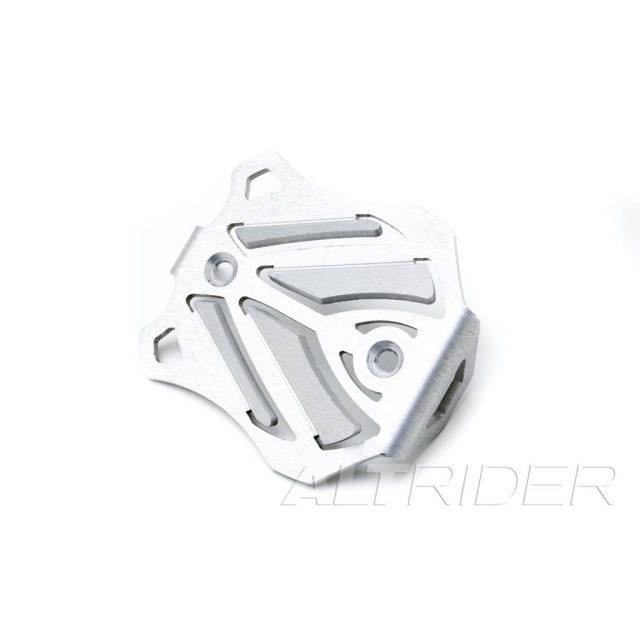 We believe the best solution to keep your ride smoothly powered is to install the AltRider Voltage Regulator Guard for the Husqvarna TR650 Terra and Strada. ©2017-2018 AltRider Japan. All Rights Reserved.